Aside from the new windows we installed late last year, another, more recent, addition we added to our sunroom is this cute little cabinet. Before having the baby we attended an infant CPR and safety class where they encouraged all us soon-to-be-parents to baby proof the house before our little ones arrived. While we didn’t go overboard and totally safeguard the house, we did take a few steps towards a safer home for little Emie girl. 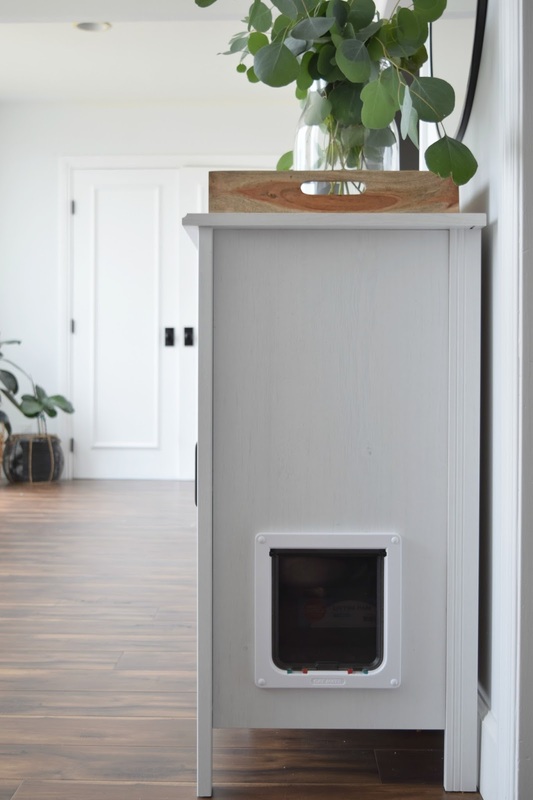 Along with adding outlet plugs, this little cabinet in the sunroom helped conceal one of the things I was most concerned about…our litter box! Inside we keep all our kitty essentials – food, along with a few rolls of plastic trash bags for poop scooping. A clear suction hook on the door works perfectly to hold the pooper scooper too! Everything thing we need fits right inside with room to spare. 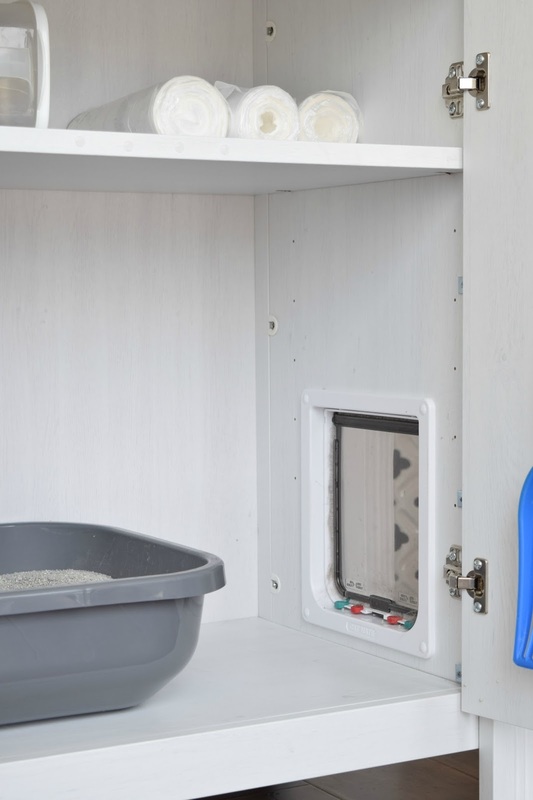 DIYing our cat litter cabinet was super simple – just an extra large cat door – for our extra large cat – and this inexpensive Ikea cabinet – or any cabinet for that matter – is all you need! 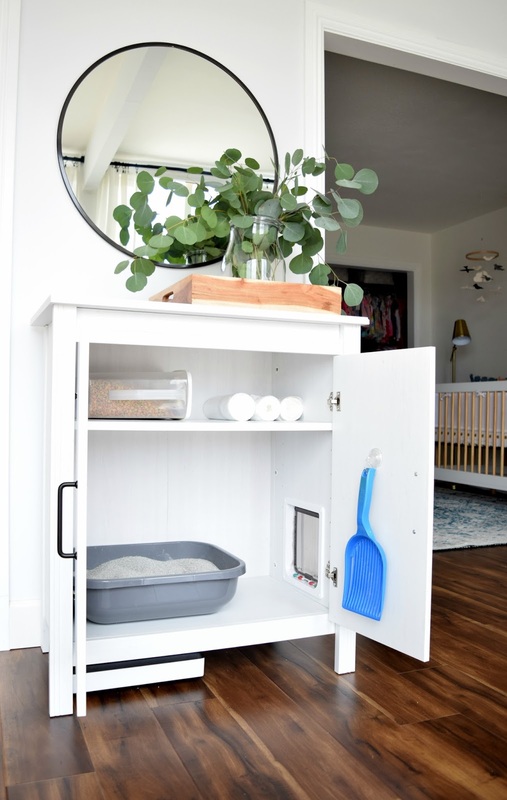 We opted for this cabinet because it’s dimensions worked perfectly for the small sliver of wall between the living room and the nursery but any cabinet big enough to house your litter box can work too! 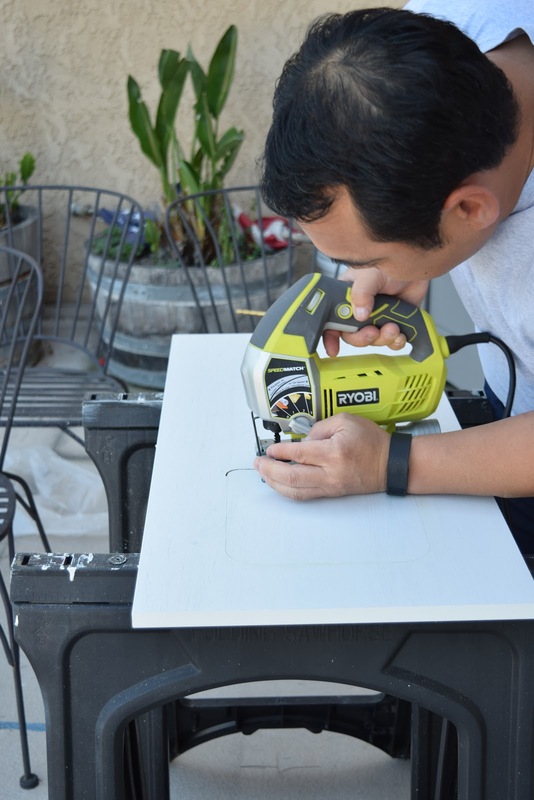 Before putting the cabinet together, we cut out the hole for the cat door on one of the side panels using the template that was provided with the door using our Ryobi drill and jigsaw. 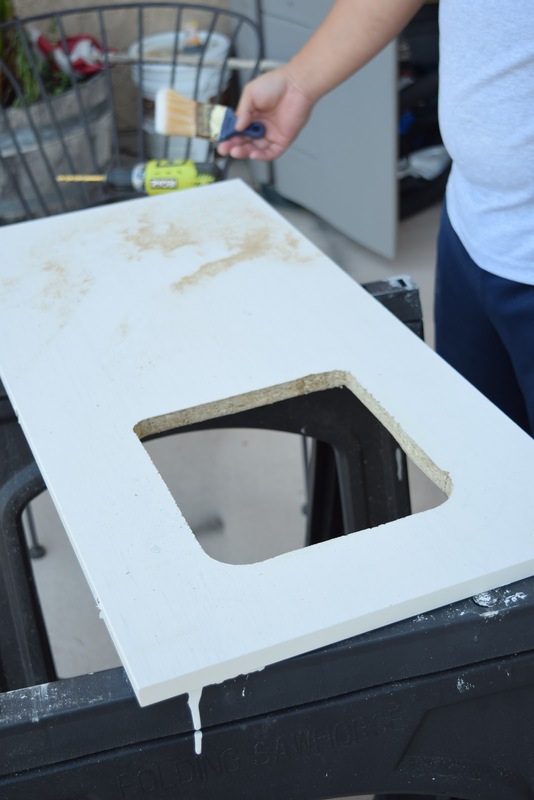 Once the hole was cut all we had to do was install the door. 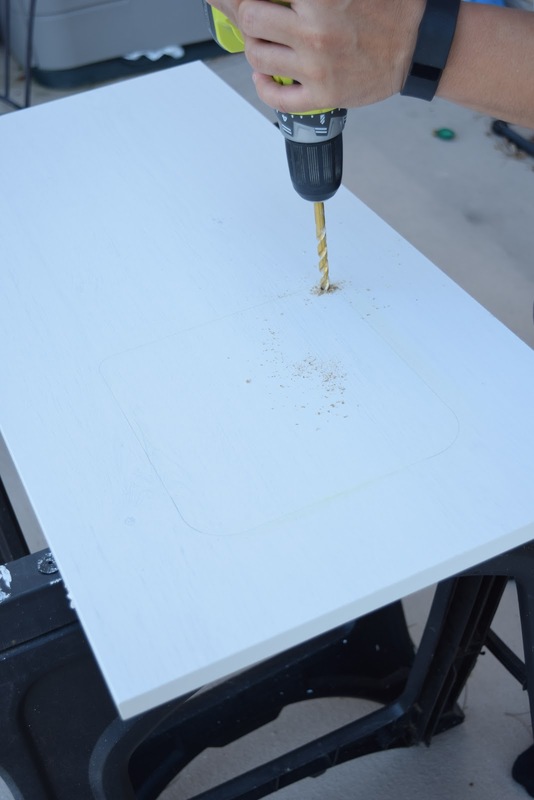 It really couldn’t have been more simple and the end result is having me wonder why I didn’t think of this sooner! From the outside – no one would ever know the litter box was inside! Would you have guessed? 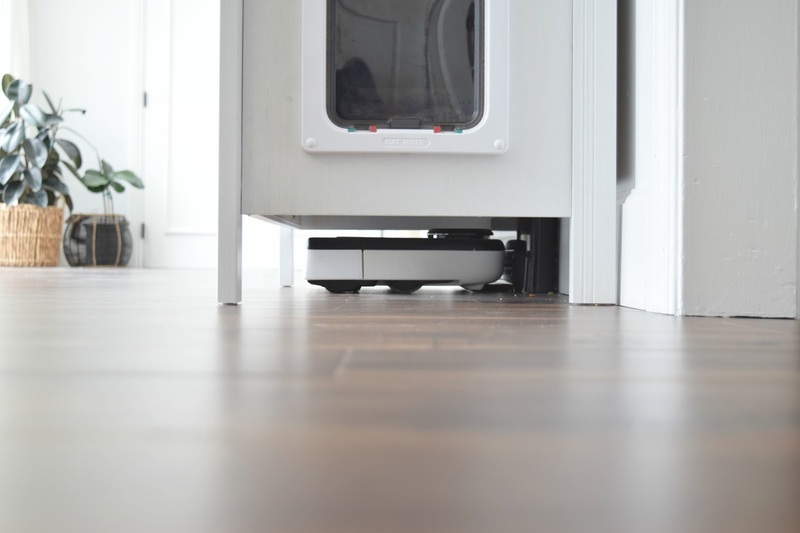 It’s our robot vacuum – the Neato – or what we call her, Flo! 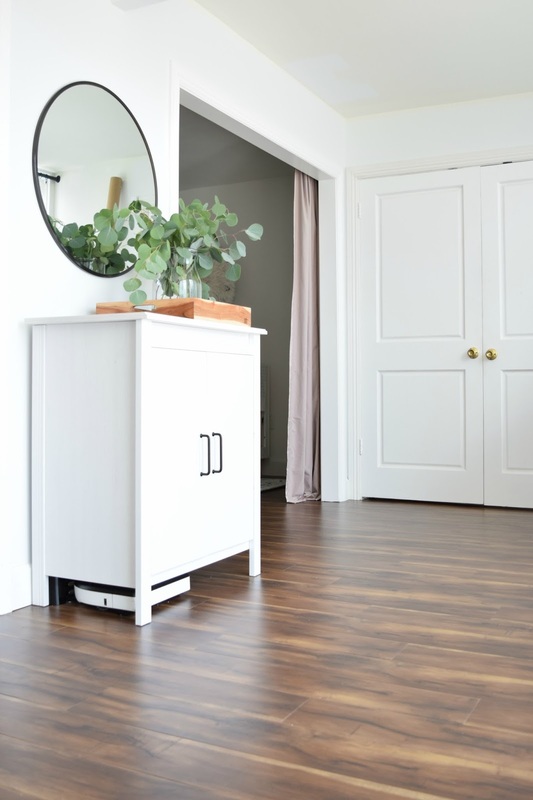 I was able to plug the docking station into an outlet behind the cabinet and the docking station fits perfectly underneath with just enough clearance for Flo to make her way back home to charge. 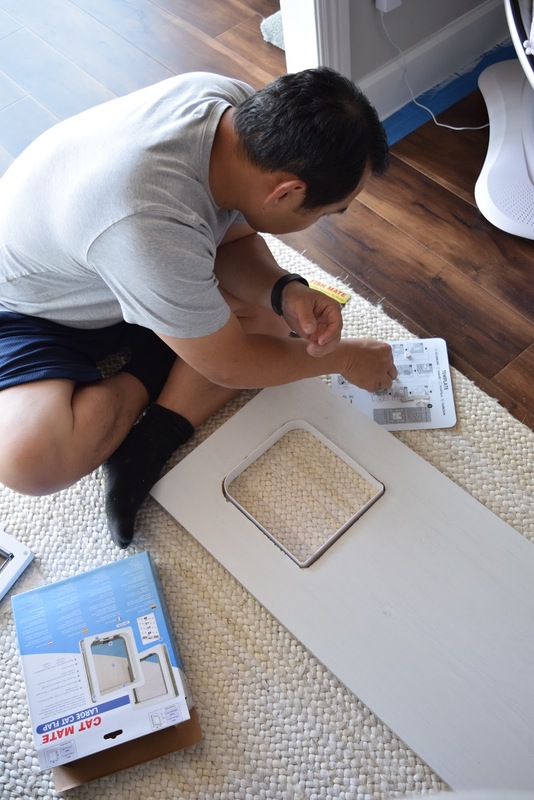 This super simple Ikea hack really helped contain and conceal our messy litter box while also making our home safer for babe! 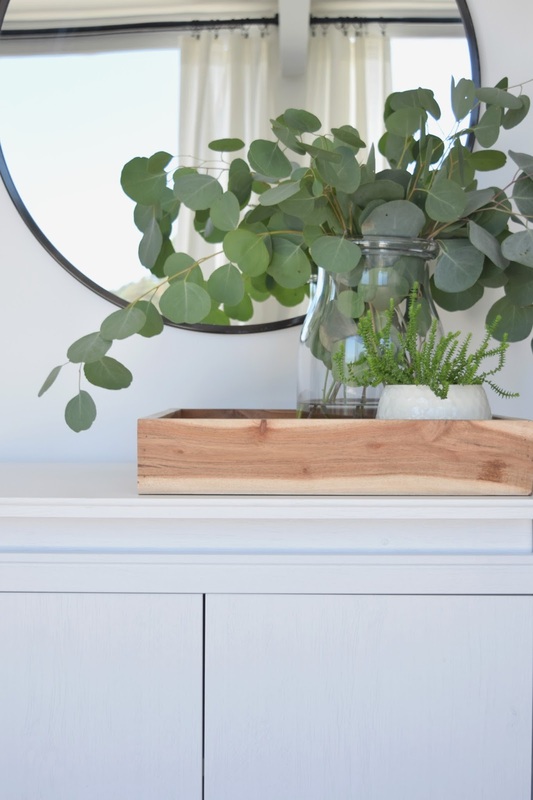 Do you have something in your house that needs a little concealing – printers or electronics come to mind! 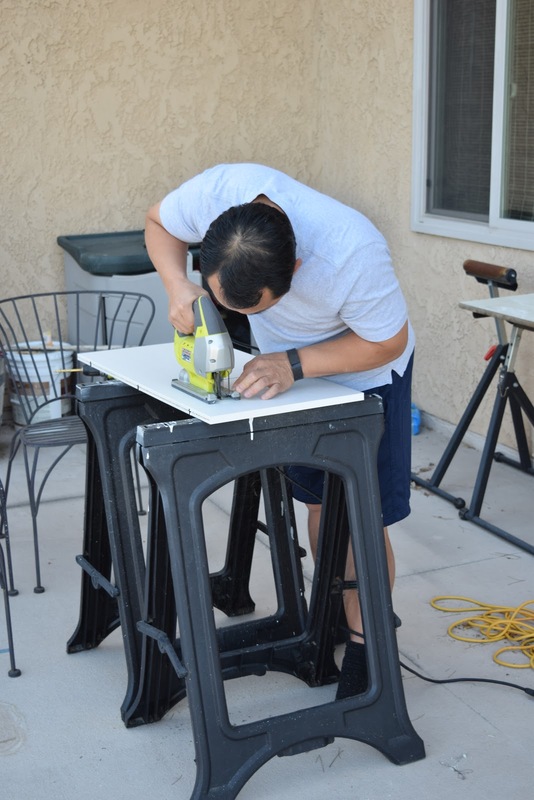 Could an inexpensive Ikea hack help you too? Hi, this is great! 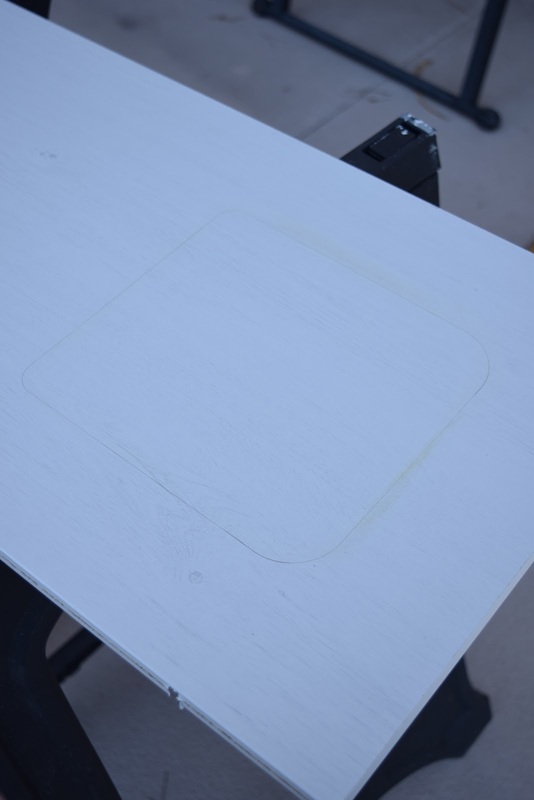 Can you please tell me the name of Ikea cabinet you used? Many thanks! 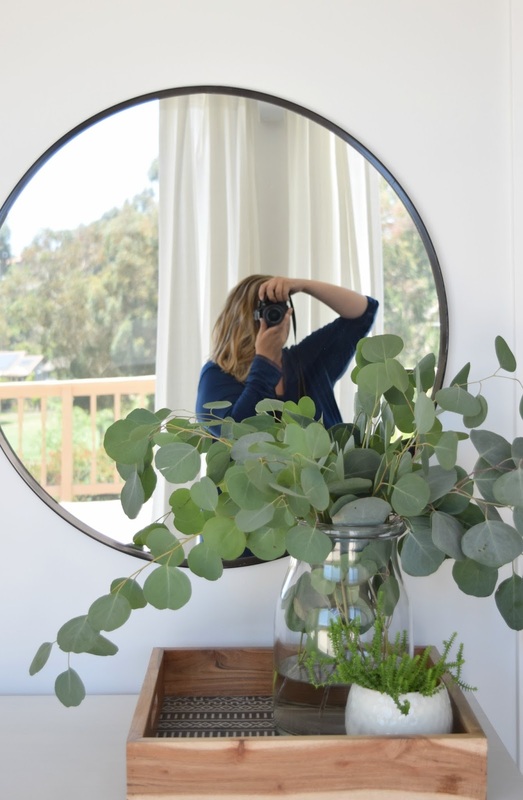 Hi Lindsay – its the brusali cabinet from Ikea – hope this helps!